If the term "The Boots" is used in this country, nobody thinks of Beatstiefel or Nancy Sinatra. They all click their tongues, because the name is synonymous for the best band of the beat era from these latitudes. They are also highly regarded internationally. Her first LP is a monument like Arminius near Detmold. This long-playing record has a captivating stylistic congruence. Their sound is excellent - despite the criticism of the band that the sound engineers have forbidden them the distortions. Here was a troop in action that knew its trade. Compared to their toughest domestic R&B competitor - The Hound Dogs -, the spirit of the intellectual always hovered over the boat. The Boots as a name sounds a bit lukewarm, but it comes from a time when even less witty naming was not uncommon. 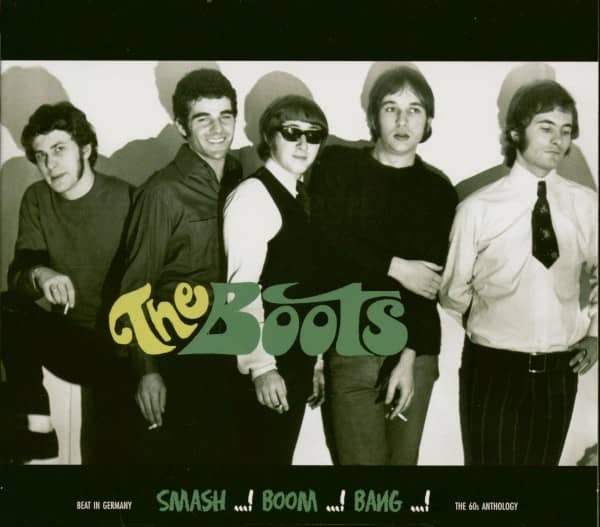 The boots represented the subversive side of rock'n' roll, they served the juiciest pieces of sweat-soaked musical work - as if hewn with a hatchet. It always smelled of fire and burn. When the Boots But You Never Do It Babe played, it was like a Molotov cocktail through the windows of the old record companies. Jörg 'Jockel' Schulte-Eckel doesn't think much of'her LP'. The choice of expression is surprising, because in fact the boots left behind two LPs. 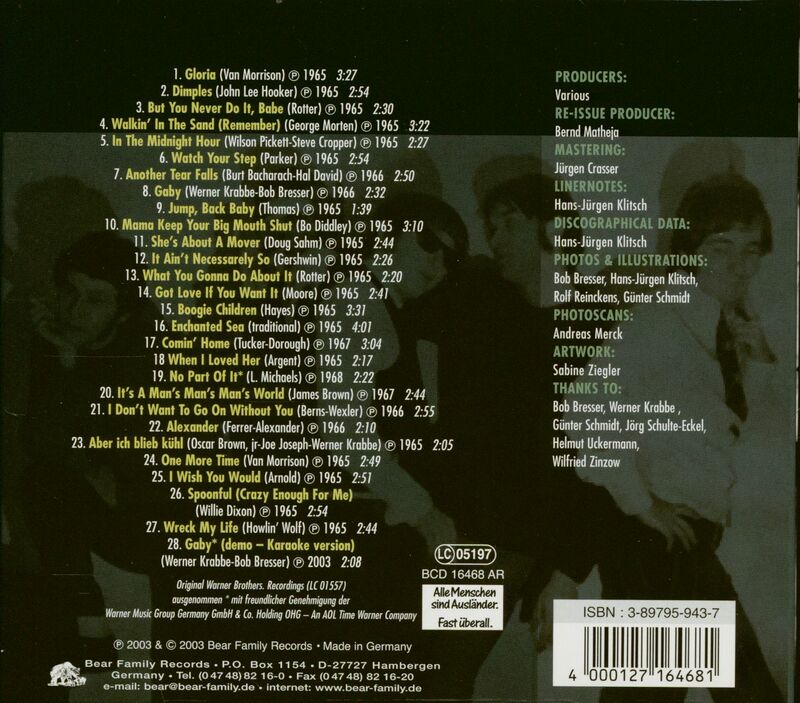 But'Beat With The Boots' couldn't hold a candle to'Here Are The Boots' because they had been forced into musical compromises that didn't suit them well. Nor can Jörg Schulte-Eckel be heard on'Beat With The Boots' - once again he had not made it out of bed and thus proved his notorious unreliability. The rest of the boots responded: They got Ingo Cramer from the Odd Persons (BCD 15463) as session guitarists. When Jörg Schulte-Eckel finally stood in front of the studio door, they gave him the cold shoulder and turned him down. It is pointless to develop an appropriate scenario, but I suspect that'Beat With The Boots' would have sounded different with Jörg Schulte-Eckel, because he was the most uncompromising of his comrades-in-arms. From an early age he had begun to use the guitar for excursions beyond the usual clichés. And the nocturnal jam sessions with him after work is legendary. 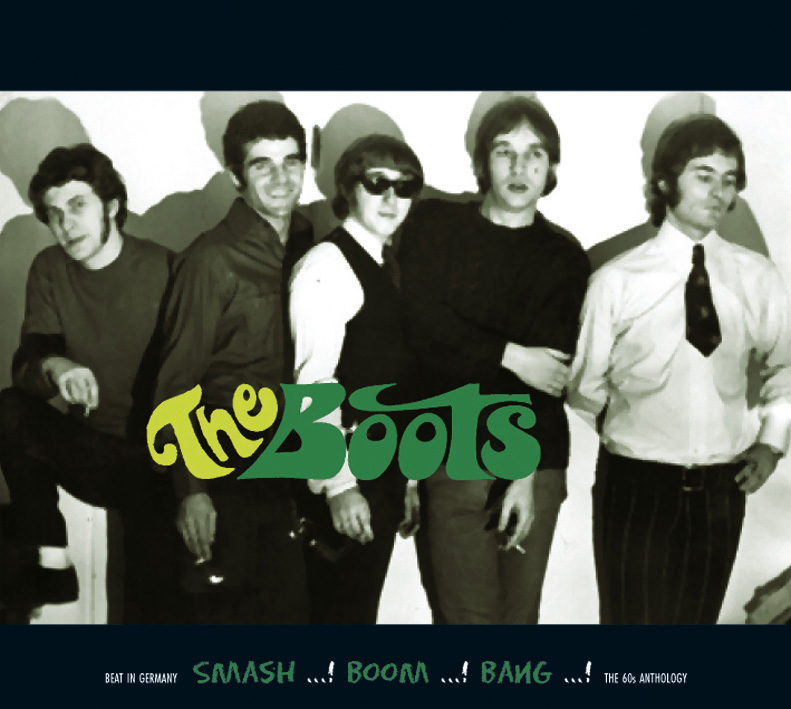 It is undisputed that the boots were better by classes live than their studio recordings document. But that was true for most bands, because which state-certified sound engineer already knew how to capture what was presented to him in a beat-acoustic way? Despite everything,'Here Are The Boots' remains a masterpiece: full in sound, hard and spicy in performance, even though most of the distortion and feedback has been suppressed or simply banned by the sound engineers. Title selection, title sequence, sound - everything is right here. Jörg Schulte-Eckel: "At 16 I was in an apprenticeship as an industrial clerk at a printing house at Moritzplatz, Elsell, Milde und Co. Besides, I went to night school because my parents told me:'You have to imitate your high school diploma'. Then I still went to the Hajo Bar or into the eggshell, or into the bathtub, and then there was also such a bar with us on the Wedding, near the Virchow hospital. That was my favourite pub, where the Blacky[Armando Lindinger] played as solo entertainer. Singers' contests were held in these pubs at that time. And I took part everywhere and did quite well because I had a guitar I could play - almost only Chuck Berry... "There was also a jazz shop in Berlin, New Orleans, a Dixieland pub where people danced, so touchingly." Customer evaluation for "The Boots"